Heaven Connor, who was not affiliated with the day care, was charged with unauthorized entry and indecent exposure, according to the sheriff's office. 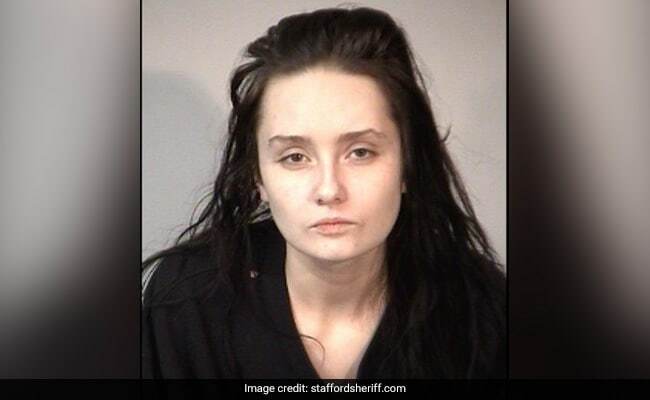 Heaven Conner, 23, was arrested after she broke into a Stafford, Virginia, day-care center. A naked woman was arrested Thursday morning after she broke into a Stafford, Virginia, day-care center, authorities said Sunday. Heaven Conner, 23, of Spotsylvania, had recently been released from Rappahannock Regional Jail when she broke into Kids on the Move Learning Center on Cambridge Street, the Stafford County Sheriff's Office said. Two employees arrived at the center around 4 a.m. Thursday to open for the day. As one employee was turning on classroom lights, she discovered a naked Conner in a doorway, sheriff's office spokeswoman Amanda Vicinanzo said. Connor told the employee she was trespassing. The commotion attracted the attention of the second employee, who also saw Connor naked, Vicinanzo said. The employees left the day care and called police from a car. When a sergeant found Conner she was clothed and "wielding a fork in each hand," Vicinanzo said. Connor, who was not affiliated with the day care, was charged with unauthorized entry and indecent exposure, according to the sheriff's office.